Save 30% AND gain access to bundle-exclusive products! 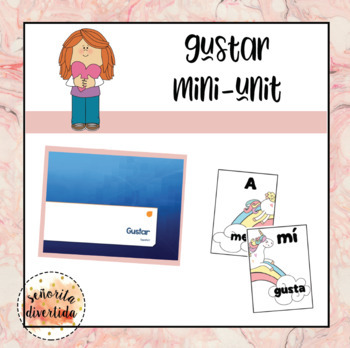 Introduce or review with your students the verb GUSTAR and its uses with this five-lesson unit! With each of the five lessons you will receive a lesson plan that is aligned with Common Core Education Standards, a bellringer and exit slip activity, and a PowerPoint presentation that is embedded with vocal instructions. 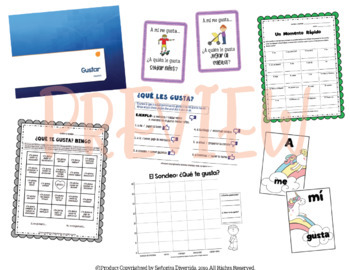 Speaking Activity: ¿Qué te gusta?